Place the matzos on a baking sheet and brush the top with melted butter. Bake in the oven for about 7 to 8 minutes, or until the matzos is slightly darker at the edges and toasted. Remove the matzos from the oven and scattered with chocolate chips. Return to the oven and bake for another 2 minutes, or until the chocolate has melted. Spread the melted chocolate chips over the matzos surface with an offset spatula, or with the back of a spoon. 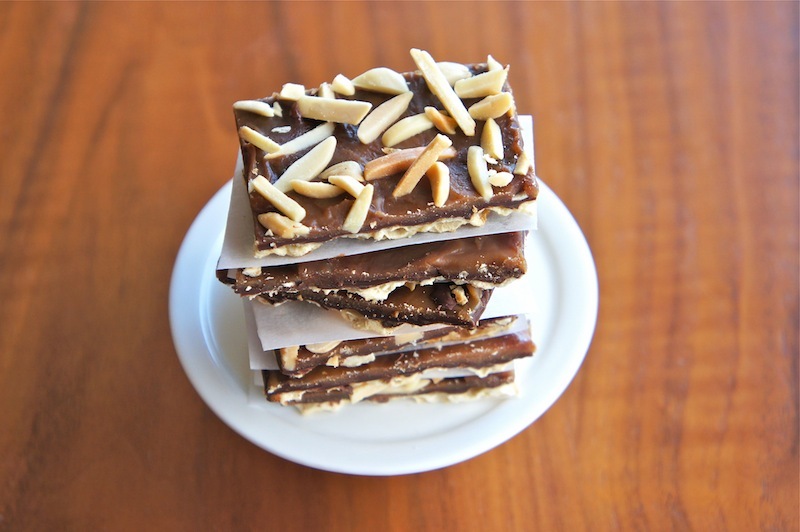 Transfer the matzos on a rack and leave it to cool and then refrigerate it until the chocolate is set. Spread a layer Dulce de Leche on top of the chocolate. 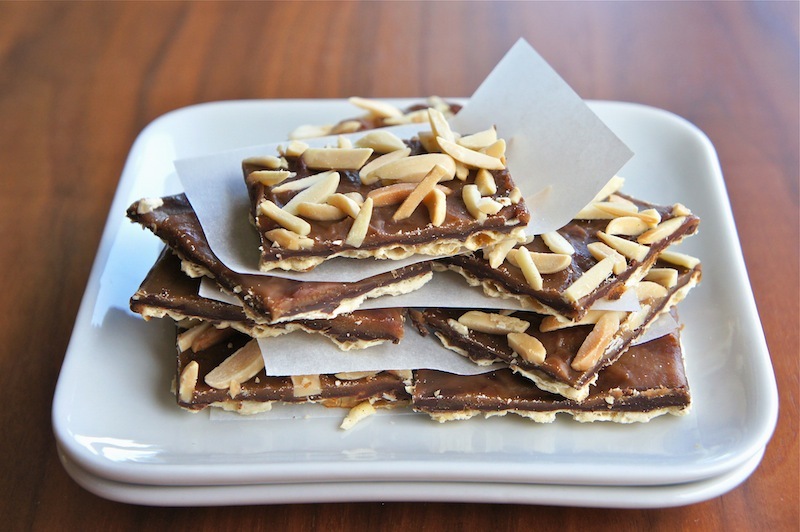 Sprinkle with toasted slivered almonds, and chilled for about 1 hour. Cut the matzos into desired size. This is definitely up my alley, and I'm glad you used Yehuda's matzoh. It's my family favorite brand. you've done it again...that looks wicked good! That looks so good. I would love to try this. @Anonymous: Thanks for the comment. Yehuda's matzo is my favorite too. I wish it's cheaper, but I guess it's worth to splurge once a year for a good product. @Joy: You should give a go! Try water crackers if matzo is not available.